The top headlines you need to know as you start your day on Jan. 29, 2019. Note* Hamilton performances scheduled for Wednesday have been cancelled. Ticket holders are urged to contact their point of purchase for an exchange to a later date. All exchanged must be requested before Friday, Feb. 8. Hamilton fans might notice a silver lining to the brutal cold hitting Chicago this week. Tickets for the hit Broadway musical are at increasingly affordable prices as temperatures dip to dangerous levels. 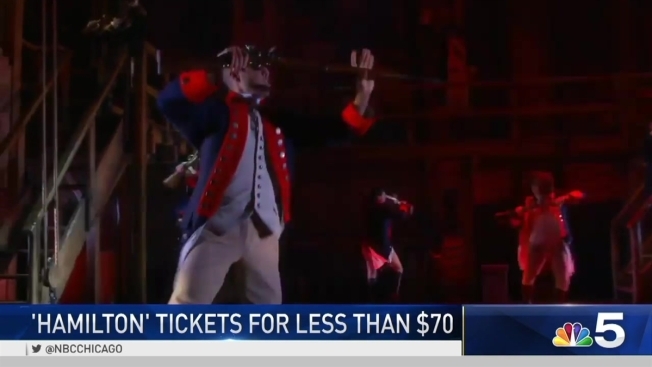 Prices for seats in the Wednesday matinee and evening shows are as low as $62 – and for good seats, according to Ticketmaster. By comparison, tickets in similar sections begin at $130 for Friday's showing. Hamilton is expected to stay in Chicago through at least May 2019. The Chicago run of "Hamilton" began in September 2016. As of Tuesday morning, no show cancellations had been reported, though many area businesses are expected to close amid historic cold in the city. Broadway in Chicago said it plans to be open despite the cold temperatures. Wednesday could see some of the coldest temperatures on record in Chicago, with temperature highs forecast to reach only -15 degrees.